There are green buildings, and then there are buildings like this one, currently being constructed by Vietnamese design firm Vo Trong Nghia Architects. 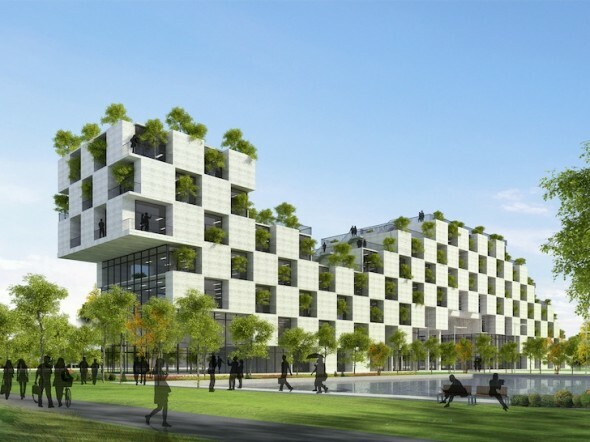 The new PT University’s administrative building is a seven-story prefab structure with a checkerboard façade that incorporates live trees! Located at Thach That just outside Hanoi, the building is unlike any we’ve ever seen before and has lush tree-filled balconies that double up as indoor gardens. Nike has stunned the world previously on several accounts with its revolutionary designs. 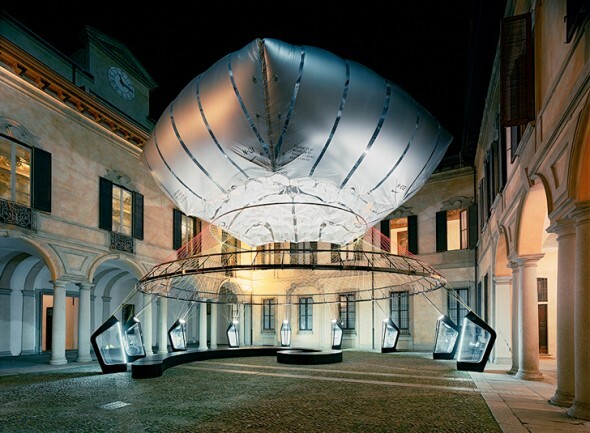 The sporting goods giant has done so yet again, having teamed up with Arthur Huang, founder of upcycling company MINIWIZ, creating a one-of-a-kind aerostatic dome supported by a helium-filled canopy! This creation by Nike and Huang is the first architectural structure ever created that uses zero compressive elements. Beijing has been chocking off late given the fact that the quality of air in the city has been dropping to new lows. The record-breaking air pollution in this Chinese city has grabbed the attention of environmentalists and designers from across the globe, who’ve been pouring in solutions to the problem. Architects at London-based Orproject came up with the Bubbles project to help Beijing’s population breathe easy. The project involves the use of giant Bubbles filled with fresh air that cover open spaces like parks and botanical gardens. Qatar may have been better known for its oil and pearls but this Arab state has never really had too much to do with greenery, untill now. 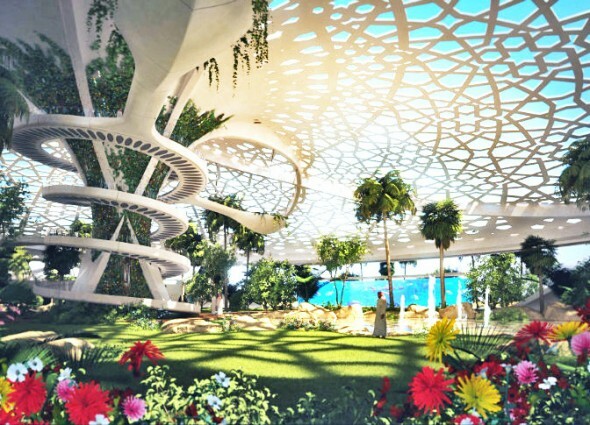 Just a short way into the future, Qatar could soon play home to a one-of-a-kind self-sustaining botanical area dedicated to flora and fauna. Designed by Sanzpont Arquitectura, the Palace for Nature is literally what its name terms it to be, a place where biological creations can grow and thrive in the middle of a desert! A modern day rendition of an oasis, this “garden” is based on the concept of the Sidra Tree. The Amazon has always been a place synonymous with greenery and the company that has adopted the name of this region has decided to follow suit too. 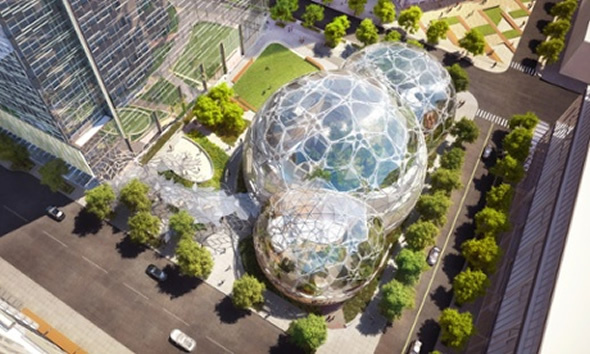 in a move that has left us pleasantly suprised, Amazon has added a dash of green to its futuristically eco-friendly headquarters destined for Seattle. 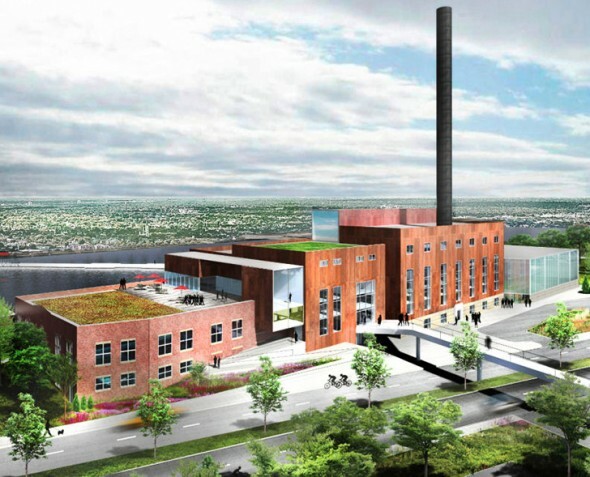 The building will house about 1,800 of the company’s employees and will make use of grenhouse-like domes. 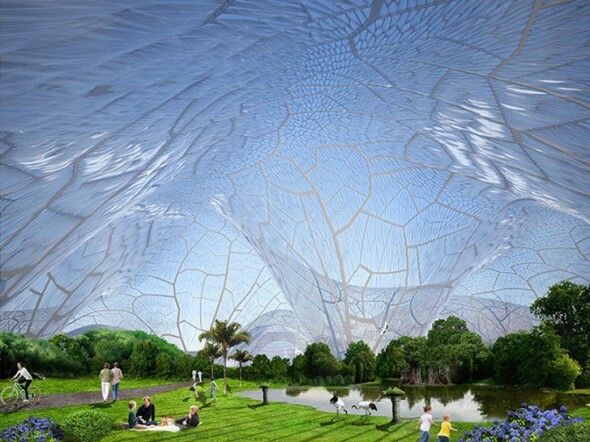 The structure uses three interconnected glass sphere, up to 30m tall, and will be surrounded by enough greenery. Mumbai’s Namaste Tower to feature a windmill and a solar-panel canopy! Mumbai, India’s financial capital, is a quickly growing city that has begun sprouting up vertical architectural wonders off-late. Most recently, we came across this new development that could soon stand tall in Mumbai’s skyline. Called the Namaste Tower, this high-rise by WS Atkins, is planned to be completed by 2015. 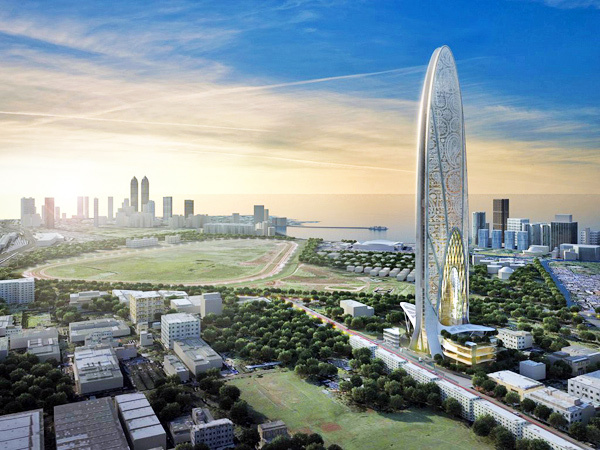 Besides its phenomenal shape that depicts two joined hands positioned in the traditional gesture for a “hello”, this tower is green and eco-friendly! 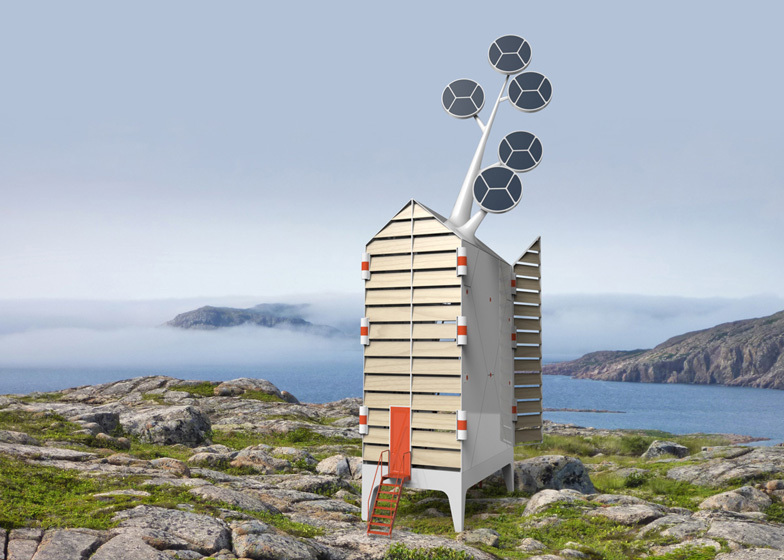 Holidaying could soon be a not-so-environmentally-harmful affair, thanks to this development by the Dutch design studio, Tjep. A self-sufficient retreat, the concept manages to brilliantly combine technology and integrated design and can be set up in a remote area without the need for grid connections! Called the Isolée, this three-storey structure is designed to cause as less harm to its surroundings as possible. Skyscrapers in the future will be more than just structures carved out of steel, glass and concrete. These energy-efficient buildings have been envisioned to have a mind of their own, with robots working as the nervous systems. 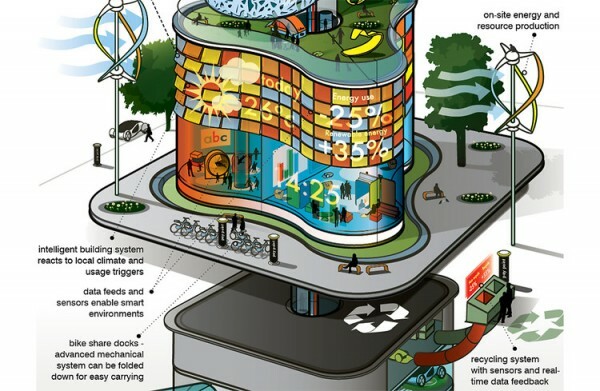 According to the Foresight + Innovation team at architecture/design firm Arup, these futuristic buildings will resemble living organisms and will function on a “synthetic and highly sensitive nervous system.” The buildings will function in a green and environment-friendly way, blending into the surrounding eco-system. The LEED Platinum certification is indeed the most desirable standard just about any green-building designer would wish to achieve. 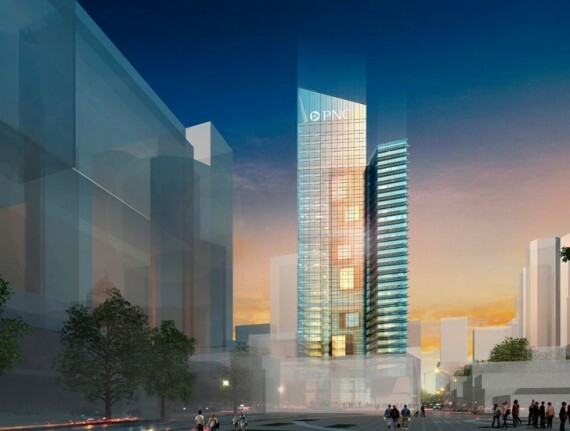 The PNC Financial Services Group however aims higher and has come up with a building design that could exceed the standards of the LEED Platinum certification! Located at Pittsburgh on the corner of Fifth and Wood Streets, this 800,00 gross sq.ft structure will sport a “breathing” design that was envisioned by Gensler, an architectural firm.